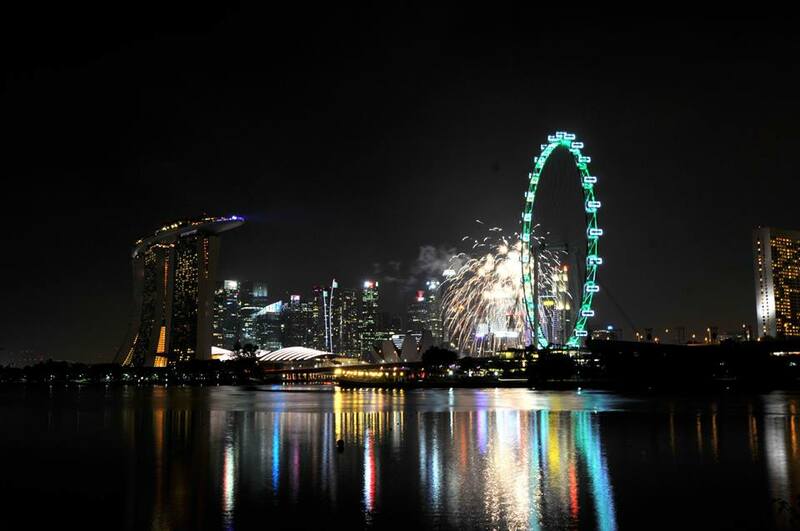 Singapore is an Asian cocktail with its population coming from different Asian nations and thus resulting in a culturally enriched variety of epicurean delights to explore. 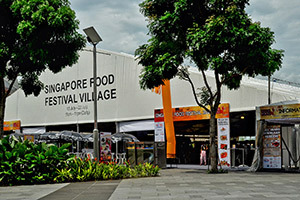 As Singapore opens its arms wide for those who would like to be part of the nation and culturally enhance Singapore, a mix of international chefs have grabbed the opportunity to settle here to showcase their homeland’s cuisine . So for anyone who look forward to diverse selection in food on their Singapore vacation gets an assortment of options to choose from. However, when it comes to those who like vegetarian or vegan food, there is a misconception that it is not easy to get pure vegetarian options at most of the restaurants, cafes and food stalls leaving very little option for tourists who have to manage with vegetable or fruit salads or sautéed vegetables and miss out the fun of getting an ambrosial food experience on their trip. 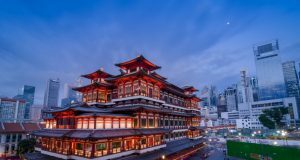 With lots of tourists turning to healthier options, converting to vegan or vegetarian, the choice of gastronomy in Singapore has molded over the years according to the growing demands. Here are some of our handpicked restaurant selections to check out in Singapore for delectable vegetarian cuisine. This popular award winning restaurant is well known for Mediterranean vegetarian cuisine. Set in Chip Bee Gardens in Holland village, the food is widely favoured by vegetarians as the menu tempts you with inventive Mediterranean dishes with a superb blend of ingredients, flavours and herbs. 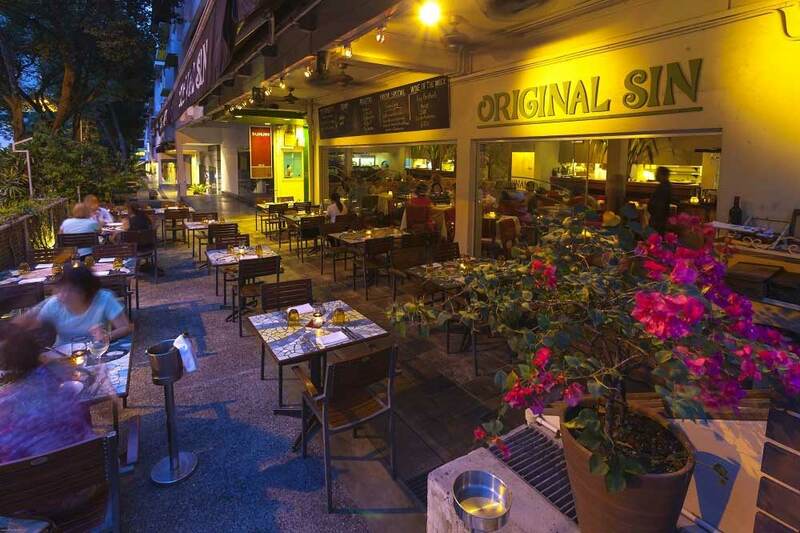 Combining customer service with an appealing array of international cuisine, Orginal Sins delivers one of the best vegetarian menus in Singapore. Start your meal with fresh appetizers made from homemade breads, cheese topped up with veggies sautéed, pickled or roasted. Check out the vast range of Italian delicacies and some unique ones such as Vegetable Tandoori, Moussaka and Spanakopita. Don’t forget to leave room for delicious tiramisu, Apple crumble and rich, moist cakes. 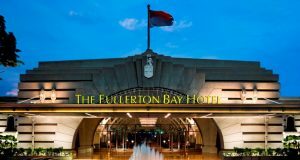 Located in Quality Hotel Marlow at Balestier Road, Singapore, the restaurant provides Chinese vegetarian menu using fresh produce and ingredients. 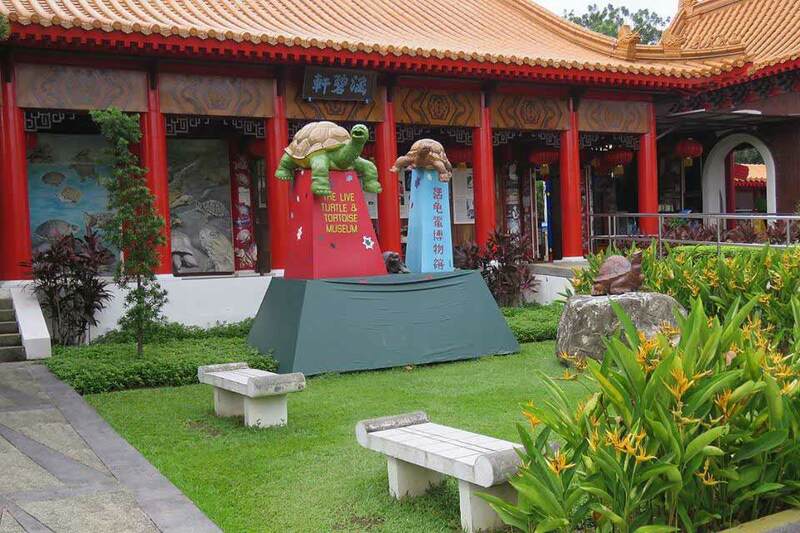 One of the few vegetarian restaurants in Singapore which offers buffet services, the food is abundant with over 100 dishes on the menu. The favourite among food lovers is to try out its signature dish Taiwanese Dimsum, and enjoy the steamboat buffet and Asian buffet which is quite a popular choice among diners who love to tuck into limitless Asian food. A great way to cherish nature and healthy food, The Pollen is a restaurant set in the Flower Dome at the Gardens by the Bay. Having its own Mediterranean herb garden and fresh ingredients, the vegetarian cuisine option is exquisite and spectacularly appetizing. The dishes look like little pieces of art and the flavours are tempting. 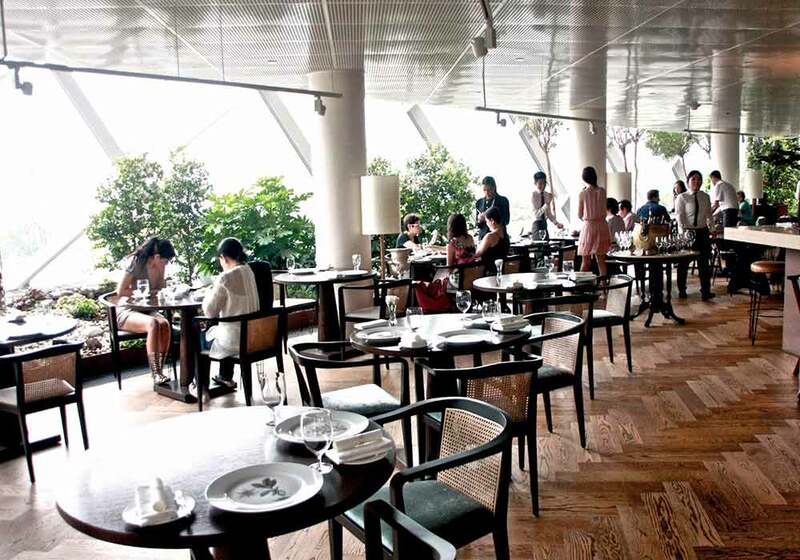 The vegetarian menu offers a fresh appeal and comprises of a delectable range of smoked, grilled and roasted veggie combinations topped up with lip smacking varieties of sweet treats all within the fantastic ambience of Flower Dome and beautiful views of the Gardens by the Bay. 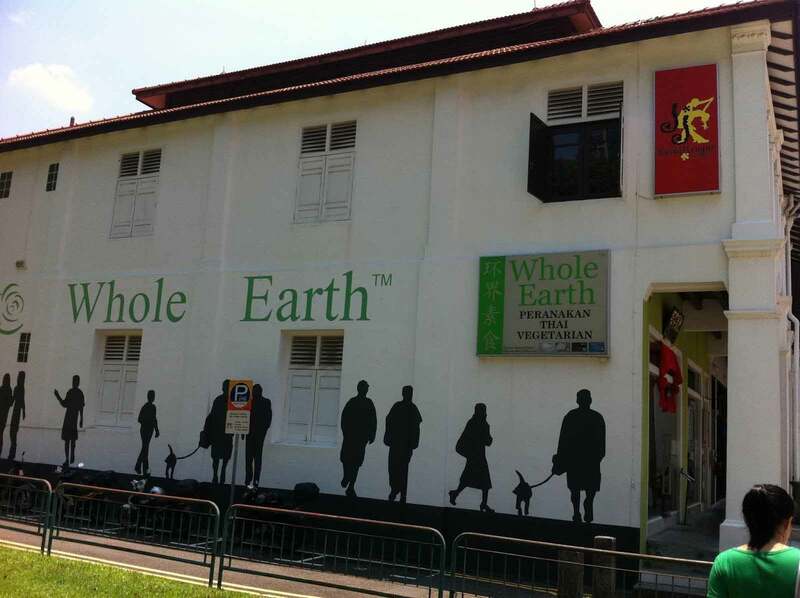 A core Thai- Peranakan restaurant wholly devoted to catering eclectic vegetarian cuisine, the Whole Earth restaurant entices your taste buds with some of the freshest and flavoursome dishes you must have ever indulged. 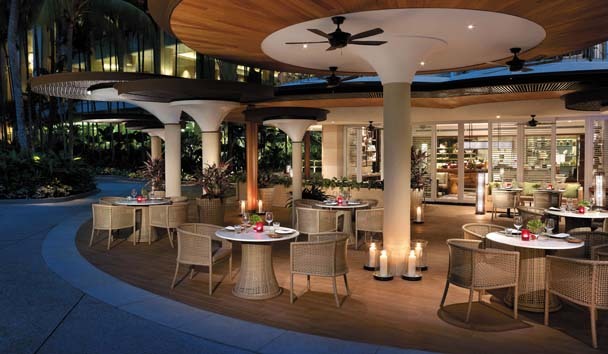 A stimulating Asian epicurean venture, the food merges authentic Thai and South East Asian flavours. 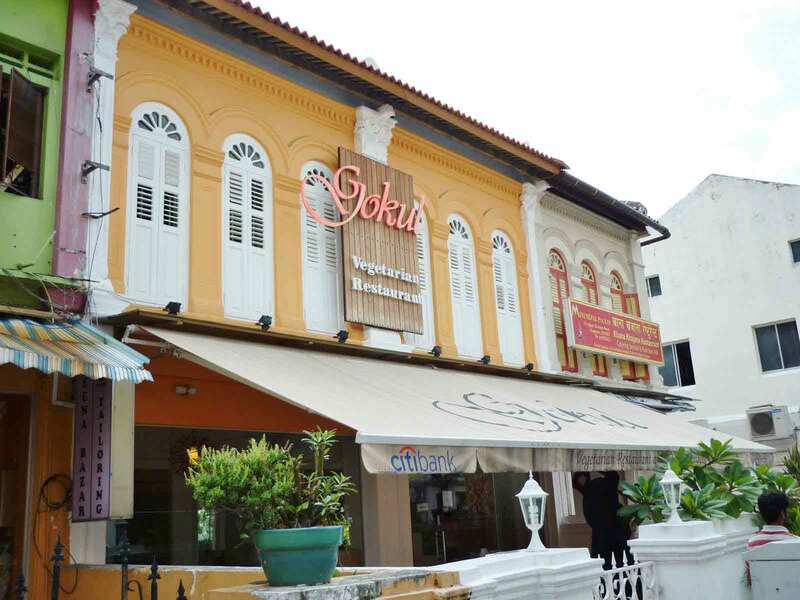 As Singapore’s first and only Thai-Peranakan restaurant, health food seekers and vegans have a great option of delicious dishes to choose from – right from the signature Peranakan dish- Assam Pedas and favourite among locals -Penang Redang. 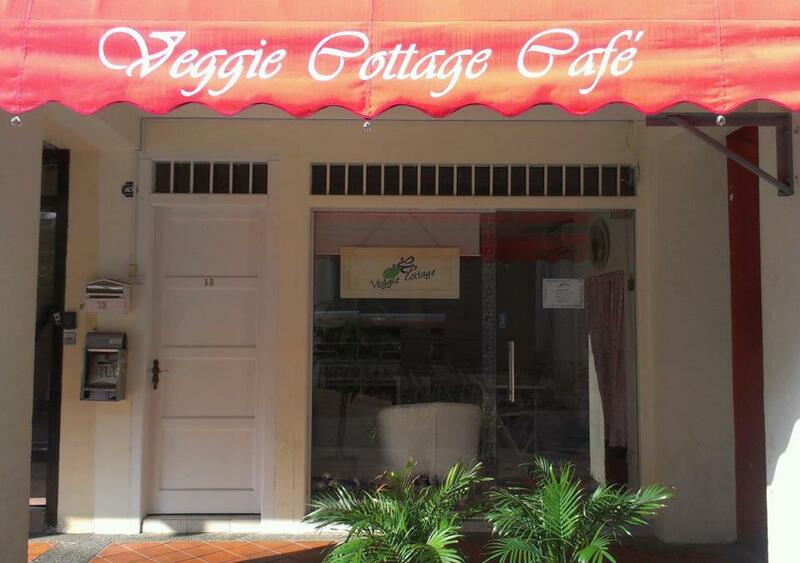 A beautiful comfy café set at 13 Dalhousie Road is a casual food spot where locals can revel in fresh, healthy and value for money vegan and vegetarian food. Focusing on the quality of the dishes catered, the café uses organic produces, non-dairy and non-GMO ingredients. Fusing serene ambience with superior choice of healthy food, visitors can look forward to having a hearty meal with a selection of western cuisine like Spaghetti Bolohnese , avocado dip and chips and local delicacies such as Nasi lemak. A haven for vegetarian travelers, this small café presents a plethora of vegetarian selections in pastas, salads, sandwiches, rice dishes, pizzas, and eggless mouthwatering desserts. With a constantly updated menu having innovative luscious blend of Western, Mediterranean and Indian cuisine, Café Salvation offers its guests a chance to dig in to a hearty variation of organic, fresh cuisine. Craving for some tasty vegetarian Indian dishes? Check out Gokul Vegetarian Restaurant where you can divulge in over five hundred dish on the menu specialized in North, South and selected Asian food. One of the best vegetarian restaurants in Singapore, tourists flock to this two storeyed brightly decored restaurant to try scrumptious mock versions of non vegetarian dishes like Chicken rice, Butter Chicken, where meat is replaced by ingredients that match its texture and have you spellbound on flavours that you would not even realise this so called non vegetarian dish is actually made with pure veggies. 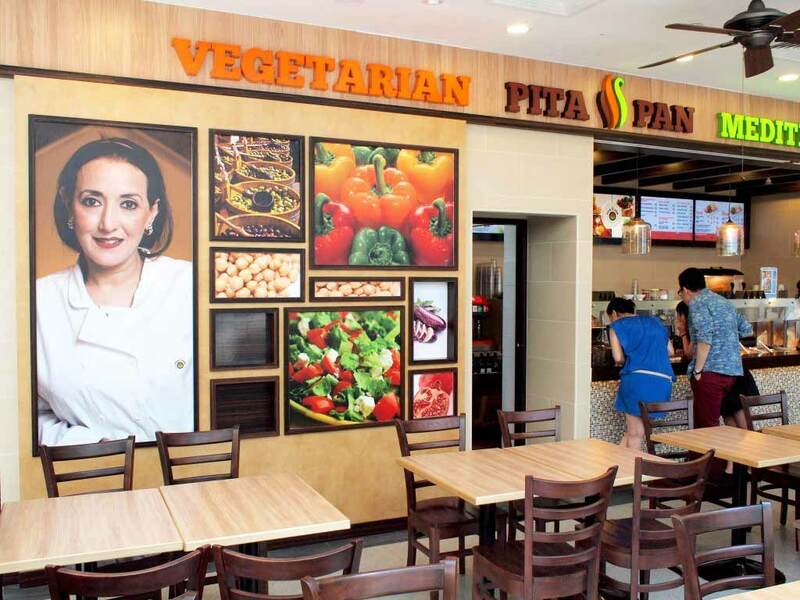 Located at the swanky Marina Bay Sands arena, Pita Pan takes you on authentic vegetarian Mediterranean and Middle Eastern culinary ride. This contemporary quick serving restaurant with fabulous views of the Marina Bay Sands spoils you with a selection of homemade platter that consist of crispy falafels, wraps, soups, assortment of tangy spicy sauces and hummus, and 35 types of Middle Eastern salads. Giving a contemporary twist to usual Mediterranean and Middle Eastern inspired cuisine, the restaurant offers a refreshing menu promoting healthy living. 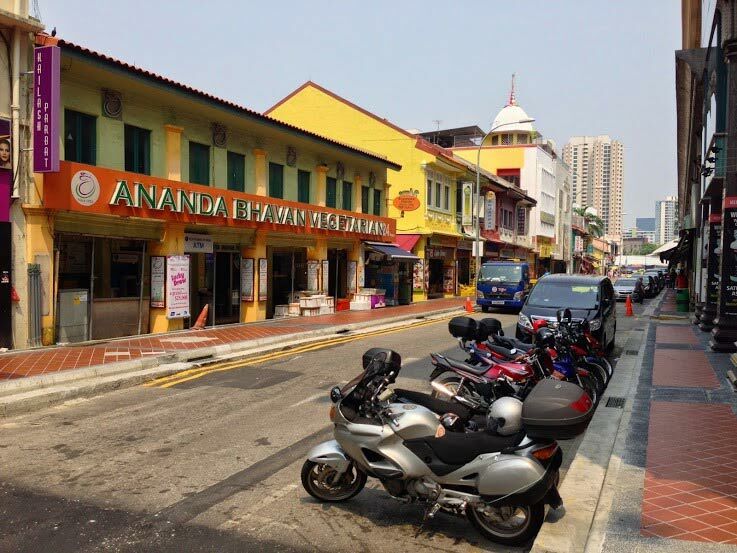 Proudly deemed as the oldest Indian restaurant in Singapore, catering to the masses from past 90 years, The Ananda Bhavan Restaurant has branched out to six branches across Singapore and aims to cater quality Indian food with rich flavours fusing traditional cultural cooking for its guests to enjoy. 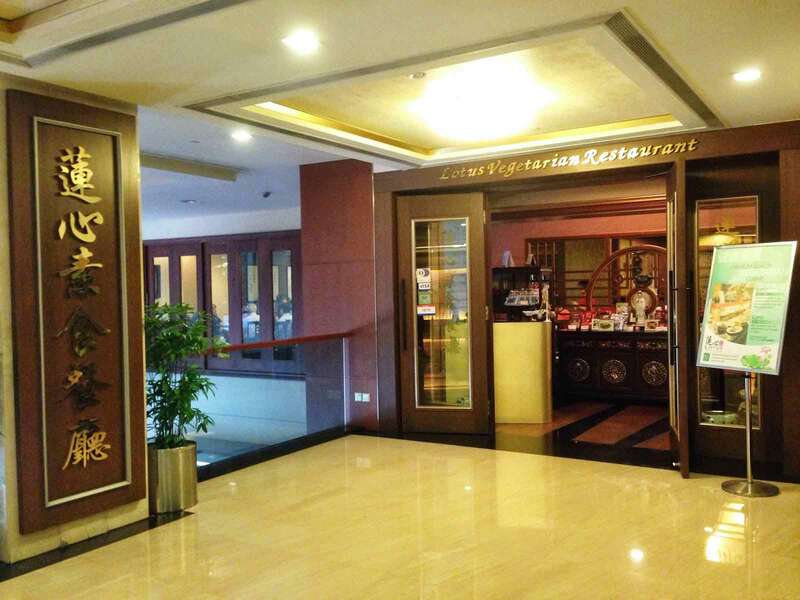 Serving a splendid palette of North Indian, South Indian and Indo-Chinese cuisine, the food joint is a hotspot among locals and tourists alike. Dig in to delicious Indian vegetarian treats, curries, rice specialties and a variety of snacks and sweets, all prepared keeping the wellness of customers in mind and focusing on balanced diet, taking care to use the best ingredients without any compromise on quality, service or taste. 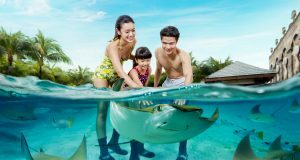 Singapore’s diverse culinary scene with an assortment of vegetarian restaurants provides an equally thrilling experience for vegetarians and health conscious individuals who just like non vegetarian have endless options to choose from, and follow a healthy delicious diet -right from fine-dining organic food to local vegan dishes. 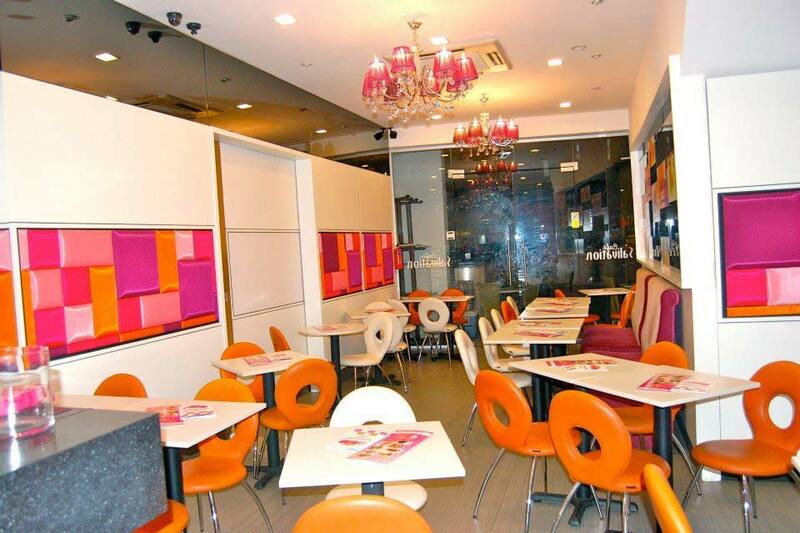 With some of the best vegetarian restaurants of Singapore focusing on healthy, nutrient rich cuisine, the vegetarian restaurants in Singapore proves that gone are the days when being vegetarian means having boring, bland food. Moreover, by combining modern twist of flavours to simple vegetarian recipes, it has created a ravishing sensory experience much appealing than non-vegetarian counterparts, leaving visitors to enjoy a well balanced healthy meals during their visit in Singapore.